Will Perry is joined by Mike Costello and Steve Bunce to preview Saturday's fight. 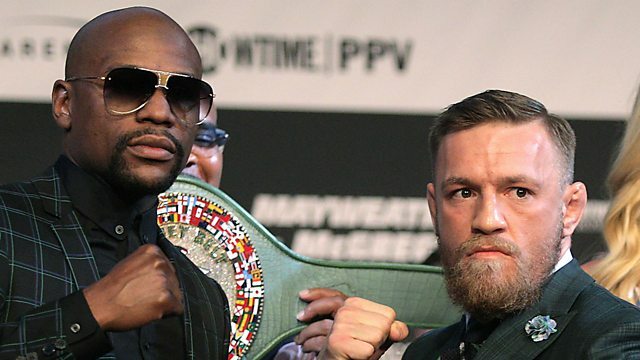 With Floyd Mayweather v Conor McGregor fight night fast approaching, Will Perry is joined by boxing correspondent Mike Costello and pundit Steve Bunce from Las Vegas for an in-depth look at the super bout. Costello has been speaking to both fighters about Saturday night and the controversial build-up, there is an interview with UFC president Dana White and legendary boxing referee Joe Cortez who has been part of McGregor's training camp.